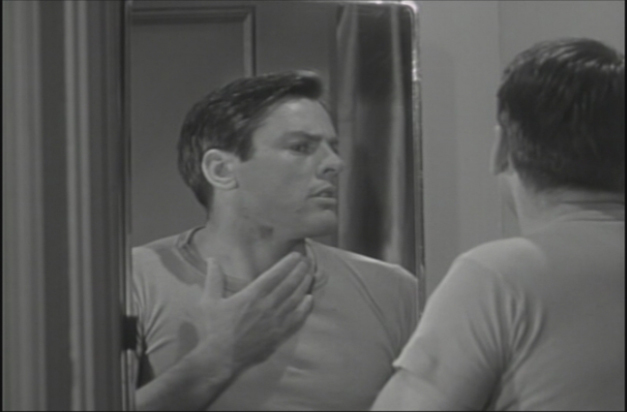 Kevin McCarthy is Stan Grayson, a hard-working jazzman from New Orleans who has a nightmare that he committed a murder - only to wake up the next morning and find clues he actually did it! 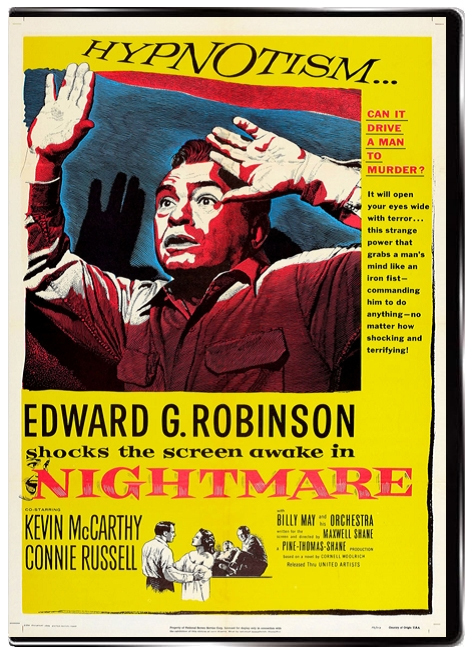 Terrified, he goes to his brother-in-law Rene (Edward G. Robinson), a hard-boiled & cynical detective, to ask for help. Rene thinks it's all a joke at first, but soon puts his nose to the grindstone when the evidence begins to pile up! Rene must systematically solve the case, leading to an ingenious conclusion involving Grayson's meek and mild neighbor - who is actually much more than he seems! 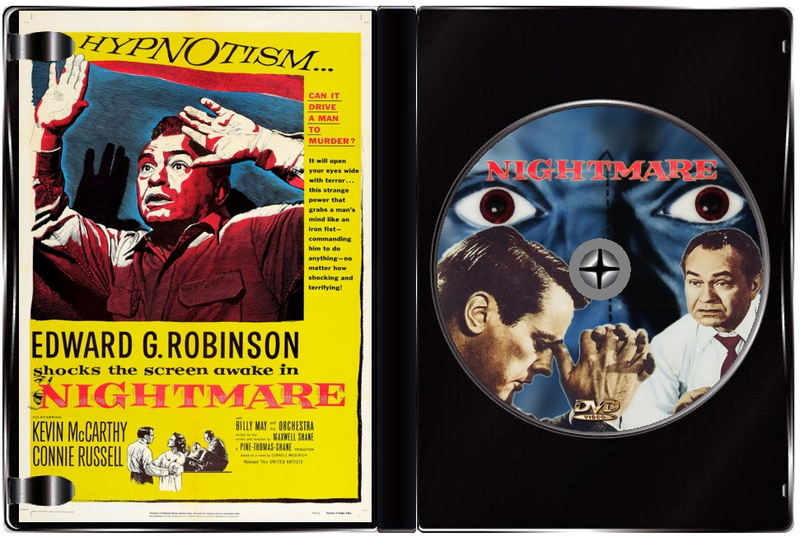 Shot on location in New Orleans, this is a fun & engaging noir film which grabs you right from the start - throwing at us an opening credit/hallucinatory sequence that is quite disturbing, with intoxicating jazz-inflected score by Hershel Burke Gilbert. 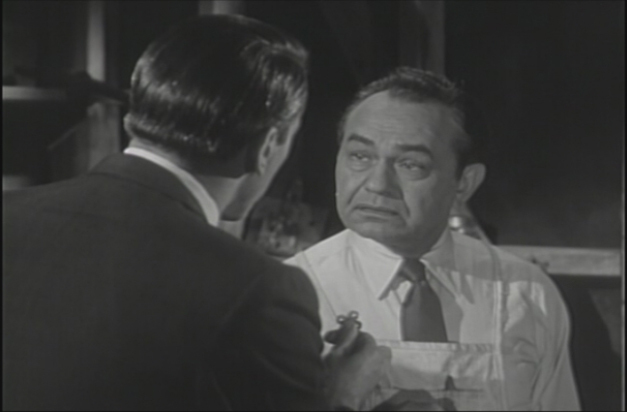 Though Edward G. Robinson is given top billing (hey you can't fault them for banking on such a marketable star), it is Kevin McCarthy - fresh off of Invasion of the Body Snatchers - who turns in a fantastic performance as he melts down going from a man framed for a murder that he dreamed he committed, to being sick with guilt as the evidence mounts against him while doubting his own mind. 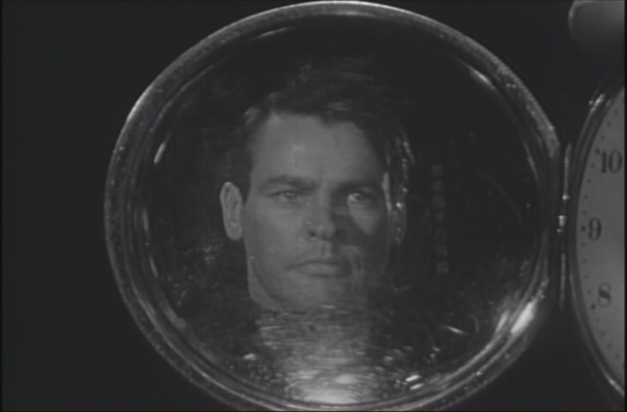 Driving McCarthy's anxiety is Robinson, the hard-nosed detective who listens to the evidence and not his heart, who relentlessly dogs him about his involvement in the crime. 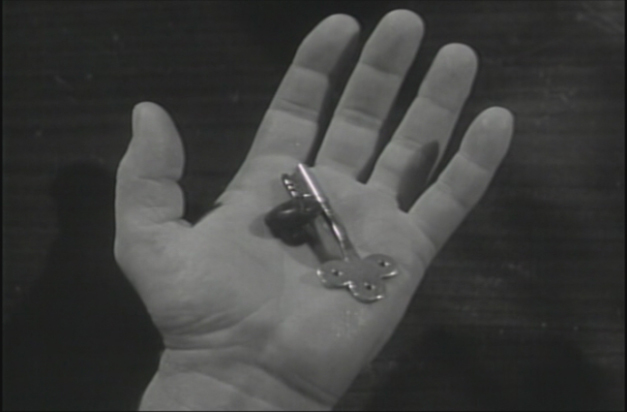 Though the story requires some suspension of disbelief (this is one of those movies where Hollywood raises hypnosis to a near-supernatural force), the performances are so good and the on-location shots provide enough real-world grounding that you don't mind. Plus, it's just a really fun premise!